Stumbled across this post introducing (?) denim from a UK brand called Tender. If half the things they say on their website are true, this is the most obsessively small-scale thing I've heard of short of hand-weaving the fabric. 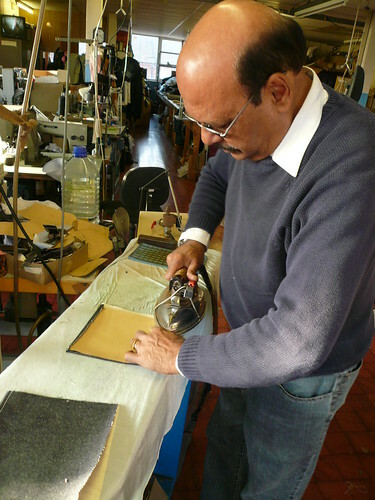 They hand-dye the fiber, hand-cast all the hardware, hand-tan the leather in tan oak juice, etc. etc. Has anybody seen a pair of these in the wild yet? They have a guidebook which is password protected. I hate being tantalized. This guy uses 16oz unsanforized Japanese denim with unbleached cotton and hand dyes in natural indigo from woad. The first collection is due out this Autumn/Winter. Checkout Five's blog (http://five-secondskin.blogspot.com/search/label/TENDER%20CO). He posted the guidebook on his blog. I really like that jacket. I remember this brand being brought up and i remember being annoyed as hell about the lack of content on his website. Really great to see my new project come up here- I'm delighted you're interested! I started Tender last summer with a few weeks in Kojima learning hand indigo-dyeing Japan-style, before bringing it all back home to the uk, and the first season (A/W10) is now in production, due for delivery to some really nice stores around June. Sorry there's not more info up on the site yet, the A/W10 guidebook will have the password taken off in the next few weeks. In the mean time you guys can open it with the username 'visitor' and the password 'isambard'. 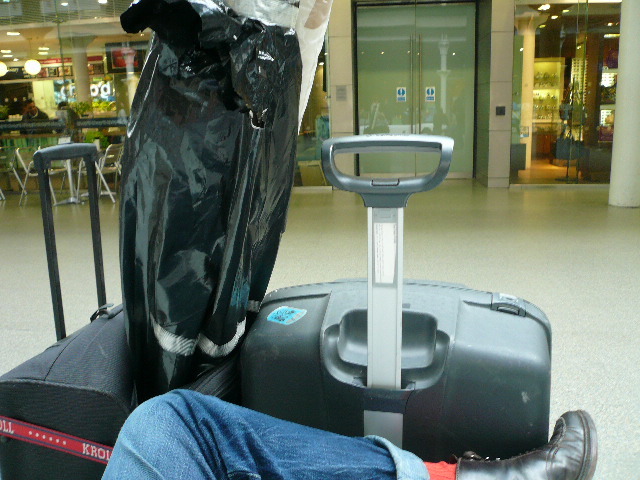 If people are interested I can post some (worn-in) pics here, as well as some making photos, as things develop. Right now I'm finishing up the prototype samples for the second season at home, then in a few weeks I'll be off to Norfolk to help with the indigo dyeing of the first collection production. Yes, rodeo bill, EXTREMELY interested in any pics and info you want to post. That jacket (and everything else, especially the production process) looks GREAT. It's not even a question if we're interested or not! Please post more about the brand, photos of the whole process etc.! Lovely to see woad being used for the overdyeing. Huge kudos and the best of luck to you sir. it's awesome to see another player come into the picture, and by the descriptions the denim will be great quality. yes, post some wear and manufacturing photos! 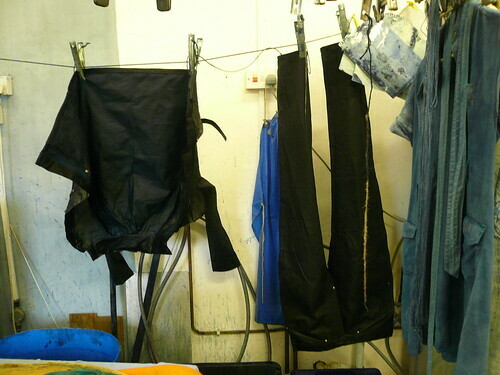 Mostly about the fabric, includes a few close ups of the Denim Tender uses both Raw and after the Over-dye. I hope to do a follow up too, the belts look great too! Thanks for posting those close up pics. The over dyed denim fabric looks really interesting. 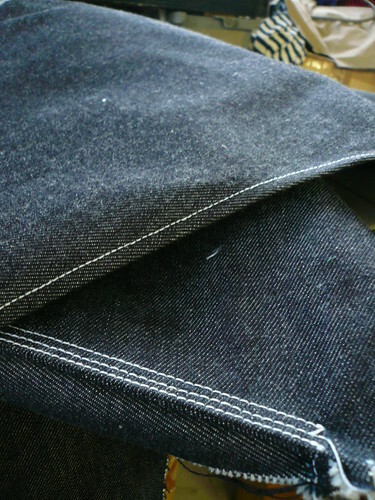 yeah - the finished denim is lovely - slightly turquoise, very dark with a nice tight weave. Sorry for the lack of updates. Things are going to be a bit slow until TENDER starts to arrive in shops in the next couple of months. 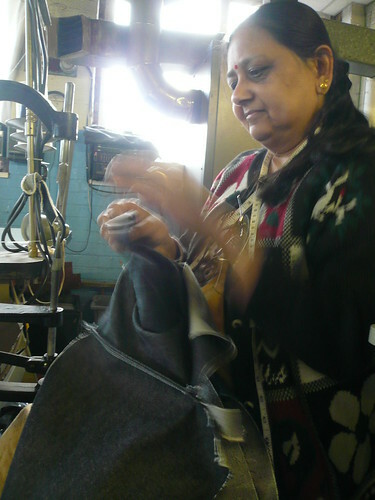 Let me introduce Natu, the guy who's making TENDER's jeans and jackets. 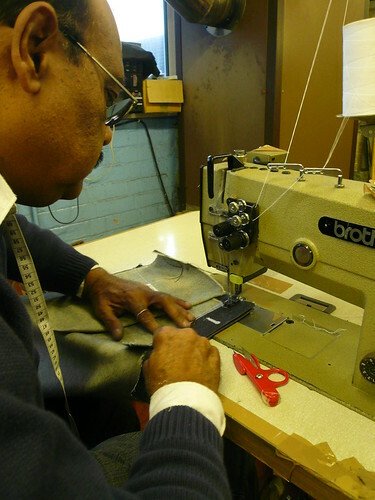 Natu was born in Tanzania, where his father was a bespoke tailor, making safari suits for diplomats. 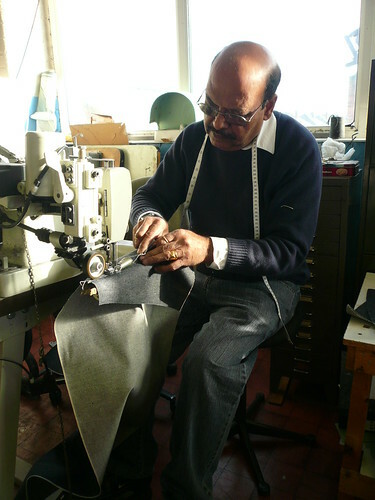 Natu and his wife, Sarla, came to England in the 70s and initially worked as tailors. They opened their little factory in the late 80s, and specialize in making small runs of difficult stuff that other producers can't handle. 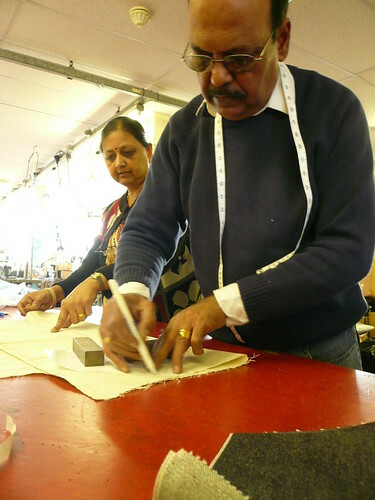 Everything's cut by hand, and it's just the two of them in the factory (sometimes helped by their son, Vishal). First the pattern is chalked out on the fabric. Because TENDER's denim is unsanforized (and shrinks about 15% during the dyeing process) the consumption's really high- around 4m. 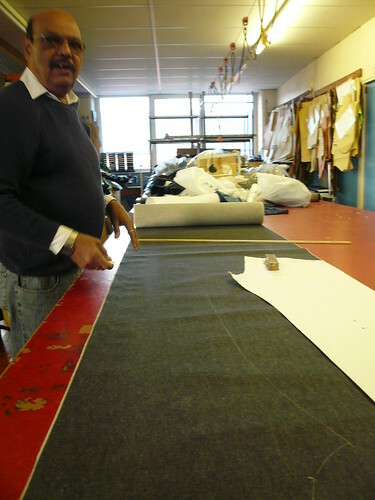 It's also quite tight getting the pieces out across the narrow width of the fabric. I made my patterns at home, but then I got some help from Kojima master-pattern-makers when I was in Japan last summer. 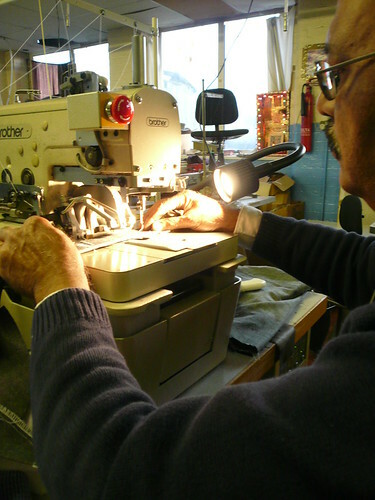 The first operation in to sew the yoke to the back leg, on a run-and-fell chainstitch machine. Normally you'd put pockets onto the leg before attaching the yoke, but I cut the yoke low, with more shape in it than a standard 5-pocket, to give more fullness to the seat where it's needed, so the pocket sits partly across the yoke, and has to be sewn on afterwards. 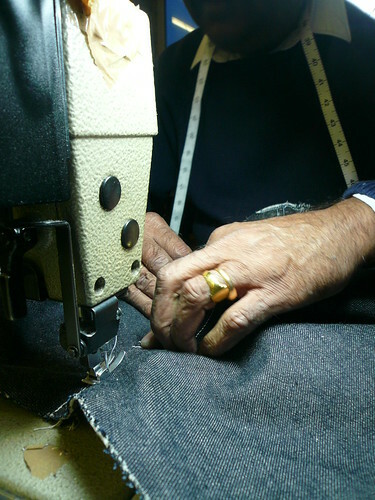 TENDER's jeans and jackets are sewn with 100% cotton 'Eagley' thread, spun in Manchester. For the samples we used this soft white thread, but in production Natu managed to find a heavier-weight, unbleached thread. 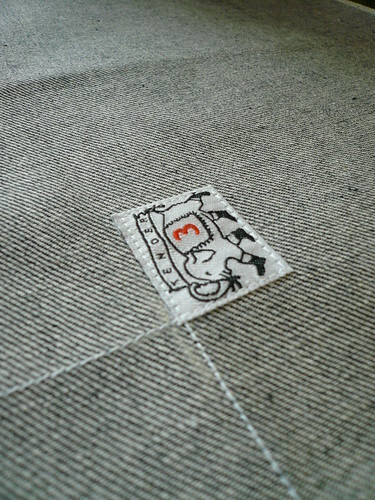 The hip pockets are fully lined with a heavy selvage calico (woven in Lancashire). 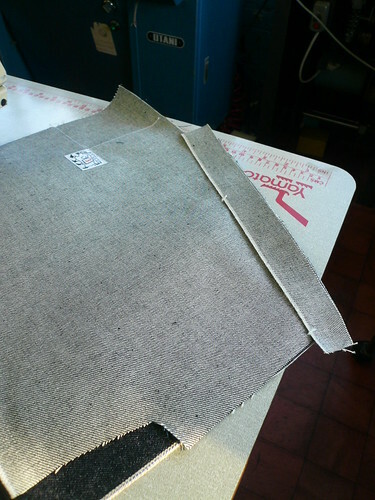 The lining's cut on the bias to stop it bunching up inside the pocket after the outside fabric's shrunk. This will also help it adapt to the shape of whatever is worn in the pocket. I didn't want any exterior branding for its own sake, but equally I think it's important that nothing's hidden away. One of the aims with TENDER is that nothing should be apologetic, so if you have to have a care label it should look good, and might as well double as the branding. They're printed on a nice papery acetate ribbon, which can always be cut off by the owner. In production the type number is hand-written, rather than printed. 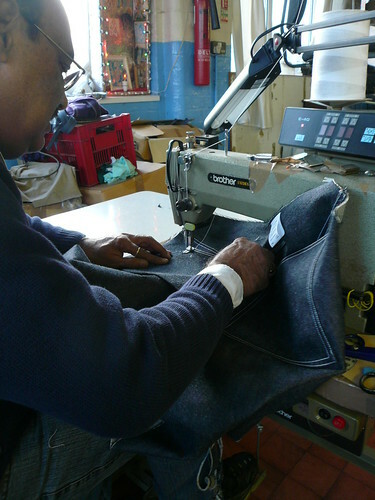 The side pocket bags are cut from the main denim, with no facing. 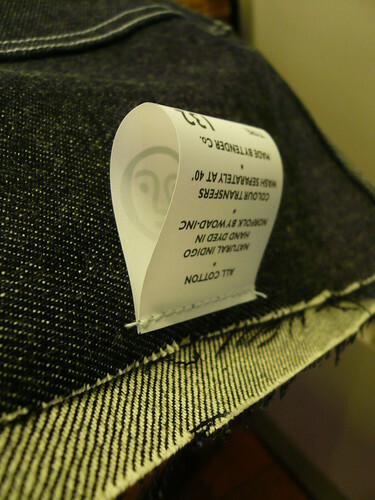 The inside bottom of the pocket bag is cut on along the selvage. The pocket mouth is a straight diagonal, rather than the regular scoop shape. The idea with this is that the bias fabric will stretch out to a curve with time, giving a more generous scoop than if they were cut that way. 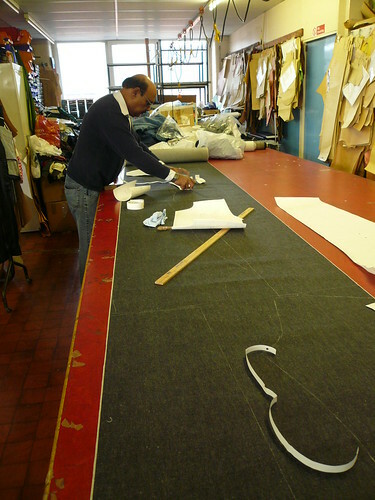 However so that the seam doesn't break and cause a pocket blow-out, a strip of selvage (the toughest part of the cloth) is sewn into the pocket seam. Sorry to be a tease with this, but until the first production's finished and dyed I don't actually have anything to take pictures of... give me a few weeks. In the mean time I'll post up some more manufacturing photos as it all unfolds. Thanks to the people that have pm'd and emailed me too- I really appreciate the support! Why you busy bee you. Looks good. what ra's referring to is http://www.superfuture.com/supertalk/showthread.php?t=64386 where this all started for me in a way. Please excuse the 'I'm just doing this for fun, no plans to do a production run', although it was true at the time! then Natu puts in the buttonholes. 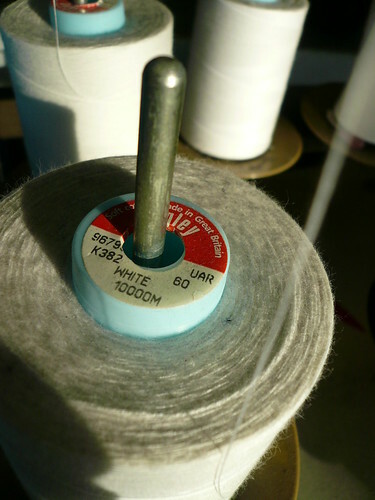 I'm doing a 2-button fly, using a nice Japanese repro of an early Levi's fly button. Having experimented with positioning I found that you can quite easily get away with just 2 buttons, and I've seen it on early overalls, where it would make them easier to get on and off, and also presumably save on buttons. I like the overalls feel of it.